Stocks have finished slightly down on the last week. After four days of modest increases, the stock market dropped sharply as a reply to new tariffs imposed on Turkey. Turkey’s lira is suffering now and thus, the banking sector because the banks around the world might have exposure to Turkey. This should not have a big impact on the global market. News such as these keep having a negative short-term impact on the stocks. 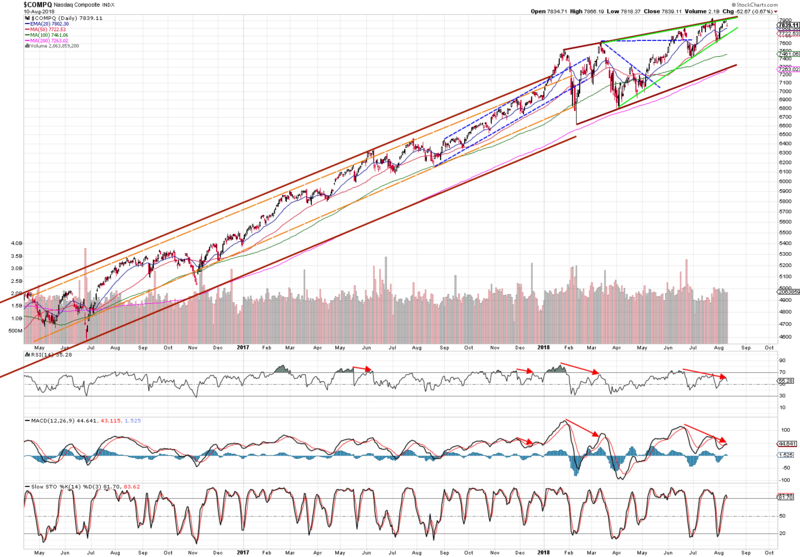 A current weekly market review suggests a strong long-term outlook as indices are getting closer to their highs. 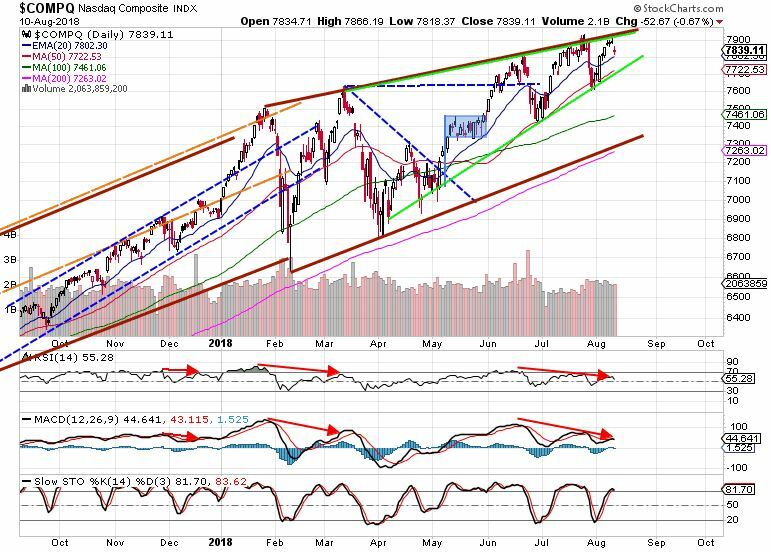 Friday drop enabled the S&P index to test its healthy support of 20 EMA on its way upwards. A little sliding of this moving average is expected before it goes up again. Nasdaq has also hit 20 EMA, although it managed to close in positive on a week. 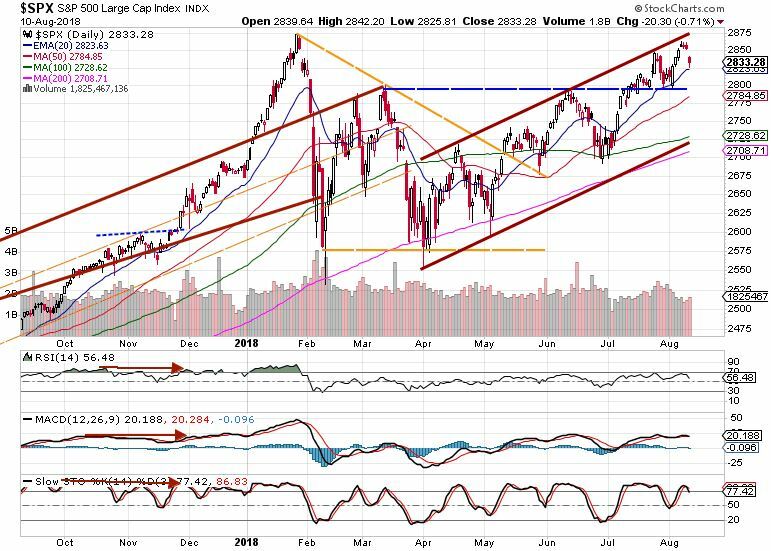 The index kept hitting its resistance depicted by outer trend line (brown upper line) which proves to be a very strong resistance level – this channel is building a good base. 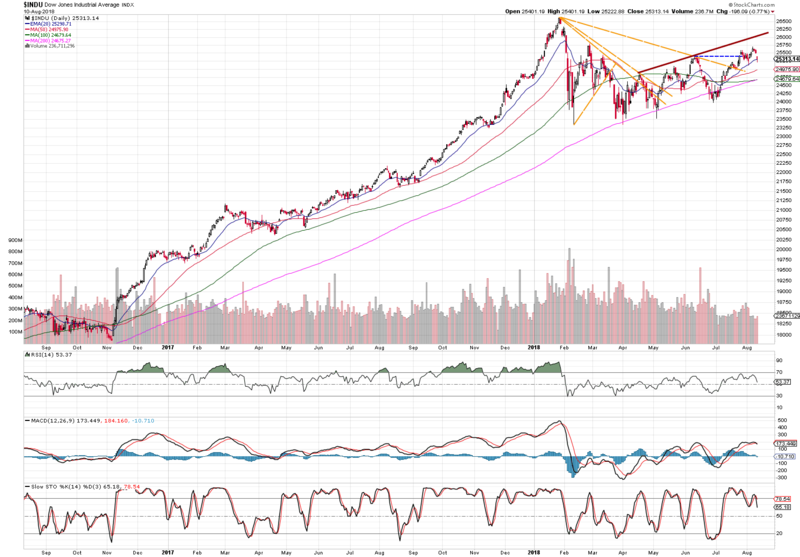 Furthermore, there is emerging a Rising Wedge Pattern, which after completion can break both down or up. The price changes at such breakouts may be significant. 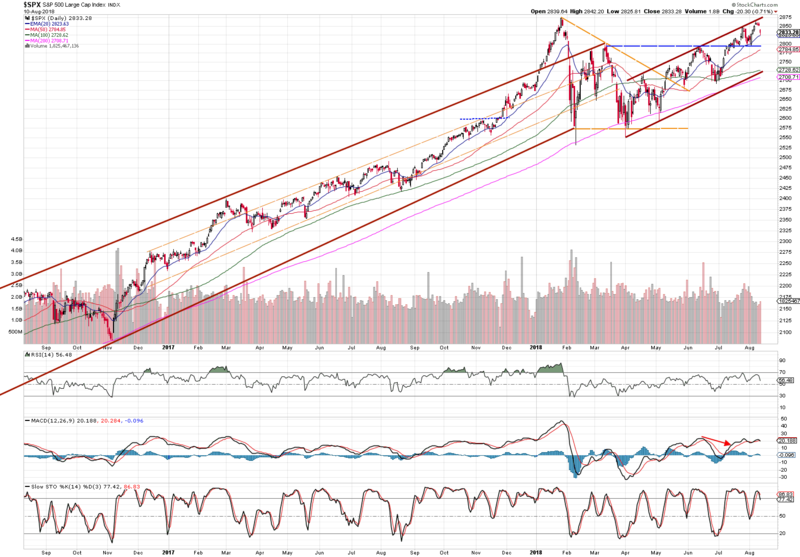 Dow Jones has also managed to close at 20 EMA proving the indexes are holding strong positions even in short-term. UK’s FTSE 100 is sliding its current support level depicted by the orange line. The banking sector might break this down if too much exposure to Turkey in EU/UK happens to be a truth. 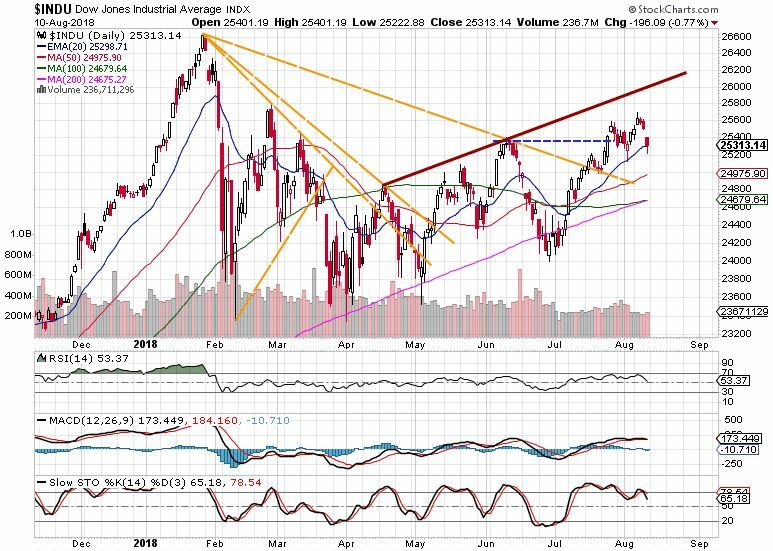 This week’s market review suggests a bullish trend in the stock market. The earnings season is coming to an end with the big majority of companies releasing satisfactory or better than expected earnings. Corporate fundamentals are a key element in further stock price increases. The market review assumes the investors’ portfolio should be correctly balanced with healthy stocks and bonds.